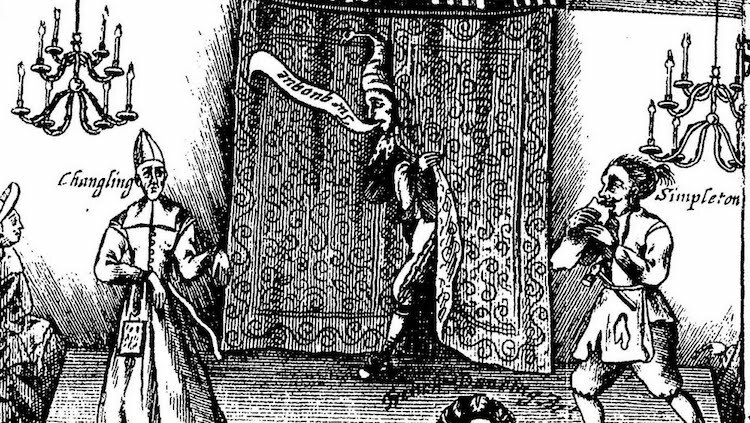 Jemahl Evans brings us a brief history of London’s first West End theatre. The Cockpit Theatre in Drury Lane was initially, as its name suggests, a venue for cockfights and animal baiting on the east side of Drury Lane with an entrance in Cockpit Alley. As such it was the first playhouse in the West End, so its importance cannot be overstated in the early history of British theatre. The venue, and its unscrupulous manager William Beeston, are also central in my Blandford Candy series of novels. In 1616 Christopher Beeston, William’s father and an actor with Queen Anne’s Men, converted the old building into an indoor theatre rather than the open rounds like the Globe and Swan in Southwark. It was a growing trend: Shakespeare’s company (The King’s Men) had already begun to perform indoors at the Blackfriars Theatre – a converted monkish refectory. This was not done for artistic reasons, but rather to provide an exclusive venue for the richer classes. The Cockpit was deliberately positioned close to Whitehall and the Inns of Court to attract lawyers and courtiers, and expensive enough to keep away apprentices and rougher elements of the London audience. The rougher elements did not take kindly to such exclusivity. On Shrove Tuesday 1617, news broke that Beeston was moving the company to the new theatre. The London apprentices, outraged at the move, rioted at the proposed cost of entry and attacked The Cockpit. The theatre was burned and broken down and one rioter was shot dead, leaving Beeston’s plans in tatters. The riot demonstrates the importance of theatre in seventeenth century London as entertainment for the masses, rather than an exclusive pastime for the moneyed classes. Everyone went to the theatre, high and low, and the mixing of classes in a performance made the early playhouses raucous and loud. I doubt we will see a theatre price riot in London again, and many modern actors would probably not appreciate the interactive audience participation that was common in the seventeenth century. One thing that can certainly be said about the Beestons is that they were indefatigable in the face of disaster. Beeston Senior had the building rebuilt after the Shrove Tuesday riot – renaming it the Phoenix – and there is some suggestion that the Jacobean architectural genius Inigo Jones was responsible for the new building, although it seems more likely to have been his protégé, John Webb. 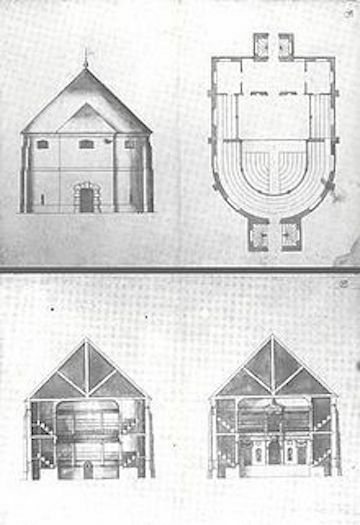 The image shown on the right was once thought to be Jones’ design for the Blackfriars Theatre; however, there are suggestions that it could be Webb’s original design for the Phoenix. The rebuilt theatre proved immensely popular in spite of the apprentices’ objections and sporadic outbreaks of plague. Whilst the company still played in the cheaper open air venues, the exclusivity of the Cockpit saw such luminaries as the Duke of Buckingham attend a performance in August 1628 only days before he was assassinated. The company was renamed Queen Henrietta’s Men after the new Queen and thrived during the 1630s under Christopher’s management. It became particularly renowned for its company of boy actors – known as Beeston’s Boys – including Ezekiel Fenn (Ophelia in the Blandford Candy series). Francis Lenton in The Young Gallant’s Whirligig, 1629, had this to say about the new playhouse and its competitors in 1629. But now upon the Friars stage he’ll sit. Christopher Beeston’s death in 1637 saw the theatre pass into the control of his son William; however, Beeston elder perhaps had some inkling of his son’s character flaws. Beeston junior did not inherit complete financial control of the theatre, his (rather young) stepmother was left with a third share as well as other investors. In 1640, William managed to get himself arrested after a performance of The Court Beggar by Richard Brome. The play deliberately satirised the Queen and her sycophantic courtiers. 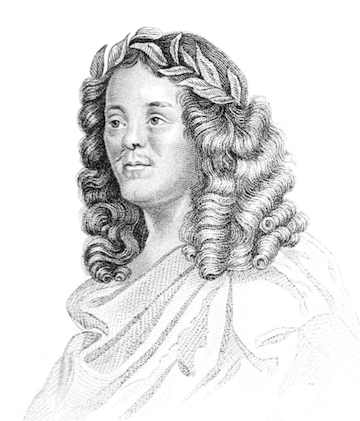 One of the sycophants – William Davenant – was given control of the theatre whilst Beeston was incarcerated in Marshalsea Prison. It does also seem that Davenant had some financial involvement in the theatre before Beeston’s arrest, and his (self-proclaimed) theatrical genius made him ideal as the new manager. Davenant was, however, too deeply involved in the political upheaval of the 1640s. In 1641, he was implicated in a plot to seize the Tower of London and release the imprisoned Earl of Strafford on the King’s behalf. It was a half-baked idea that went disastrously wrong, forcing Davenant to flee to the continent charged with treason by Parliament whilst also humiliating Charles I and hastening the breakdown into Civil War. William Beeston, newly released from prison, resumed control of the theatre in late 1641 but it was not to last. In September 1642, with the outbreak of Civil War, London’s theatres were closed for the duration. Parliament, wary of large meetings and with an inbuilt puritan distaste for theatre in general, banned all performances. Most of the acting fraternity had already left London and were joining up almost exclusively with the Royalist armies. William Beeston did not follow them, remaining in London with his closed theatre. For the next eighteen years, in spite of the ban, Beeston attempted to put on performances in the theatre. It was also used briefly as a schoolhouse although the evidence for this is scant. In 1649 soldiers raided an illegal performance, arresting and imprisoning the actors, but by 1651 Beeston spent £200 refitting the theatre in the hope of restrictions on performances being lifted. The Cromwellian government was having none of it, and the Cockpit remained officially closed. Under the pretence that music and opera was not really acting, William Davenant was permitted to put on licensed operas in the Cockpit in 1658 and 1659, and with the restoration of the monarchy in 1660 the ban on playhouses was finally lifted. Beeston, typically, did not benefit much from the new regime’s merry mood. Davenant formed The Duke’s Company and Thomas Killigrew reformed The King’s Company, and new purpose built theatres were created to house them. There were still some performances in the 1660s (Samuel Pepys attended plays there in between 1660 and 1663) but in 1663 the King’s Company opened the Theatre Royal nearby. The Cockpit was simply unable to compete with the new venue’s size and popularity. Added to this was the creation of monopolies on legal plays which deliberately shut the Phoenix and Beeston out. 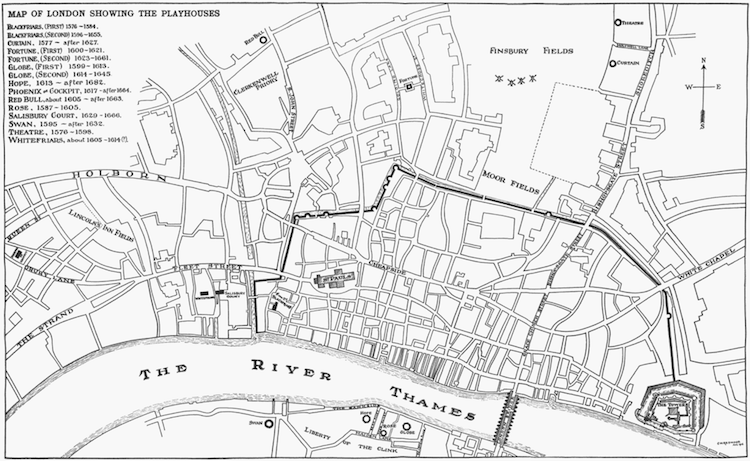 The theatres closed again with the Great Plague of 1665 – it was clear even to seventeenth century observers that the theatres had been a breeding ground for the pestilence – and there is no mention of the building after the Great Fire (1666). The flames did not reach Drury Lane, but the Cockpit was probably pulled down in the rebuilding that took place after the fire. William Beeston, impoverished and in his sixties, retired after the demise of the Cockpit. He was the main source for John Aubrey’s brief life of William Shakespeare and probably the first theatre manager to use scenery in public performances, so deserves some historical kudos. Although, given his particularly unscrupulous character, perhaps we should take some of what he told Aubrey with a pinch of salt. This Deceitful Light, book 2 of the Blandford Candy Series, will be published by Holland House Books in September 2017. Find out more about Jemahl on his website.